The AD70 is the largest residential oven in our collection. Its perfect for everyday use or large family gatherings. The oven can easily fit 3 pizzas at once. This oven is also available as a D.I.Y. kit. 1. 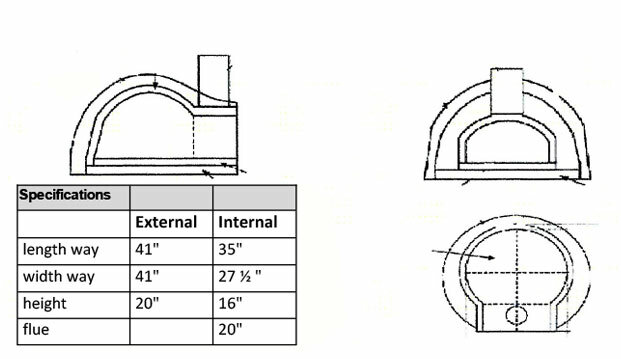 One fully built red brick arch. 2. One stainless steel oven flute with china cap. 3. One imitation granite bench top. 4. 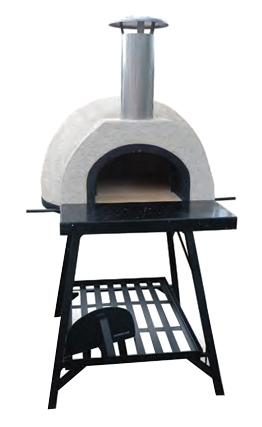 One oven stand with round wood tray. 5. One bamboo pizza board (optional). 6. One stainless steel handle pizza paddle. The AD70 is ready to ship. 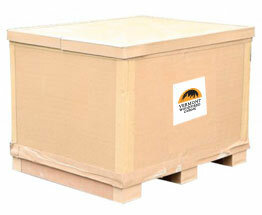 It is packaged in a rugged cardboard crate. Gross weight = 573 lbs.